Learn practical PowerPoint presentation tips that will help you make your presentation easier, faster and more informative. Presentations are considered to be an art of communication. And we want this communication to be effective. However, it is not so easy to make people see an idea from your own perspective. Being passionate about your subject matter is not everything. One should take into consideration various factors to get the message across to the audience successfully. Presentations are delivered at different places. It can be a business conference, a seminar, or just an ordinary meeting within the company. However, in any case, we need special software to demonstrate various visuals that help us engage our audience. Nowadays everyone knows that the most effective presentation program is PowerPoint. No persuasive presentation can do without it. It is obvious that people who often have to make presentations know how to use it. However, there are some features of the software that are not applied by the presenters for various reasons. Some people may not know about these characteristics, while others may think that they are too complex to work with or unnecessary. Nevertheless, these features may facilitate your work to a great extent and boost your productivity. In this article, we would like to share some tips that may help you make your presentation easier, faster and more informative. 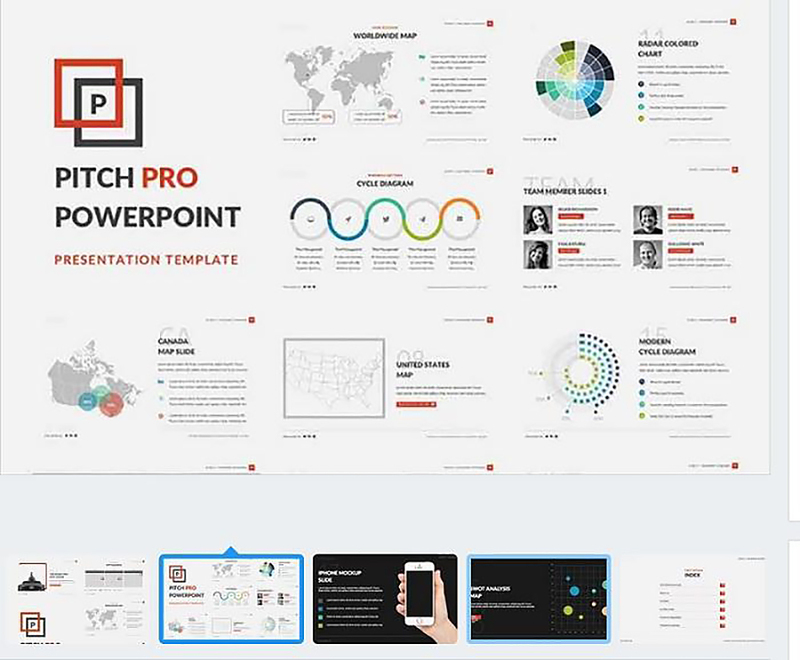 It does not matter if you are an experienced presenter or just start making presentations, the ready-made PowerPoint templates will come in handy for everyone. First of all, the pre-made slides contain all the necessary information. Secondly, the templates can be customized in accordance with your requirements. 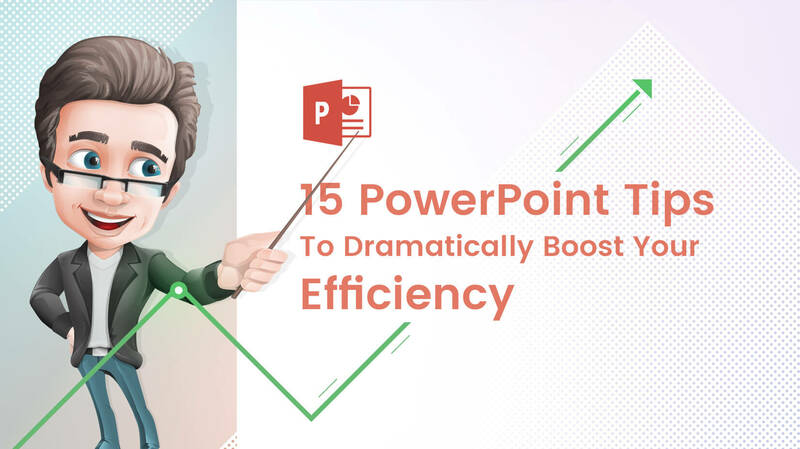 We recommend you a superb collection of PowerPoint templates by TemplateMonster, using which you will highlight your content in the best possible way. 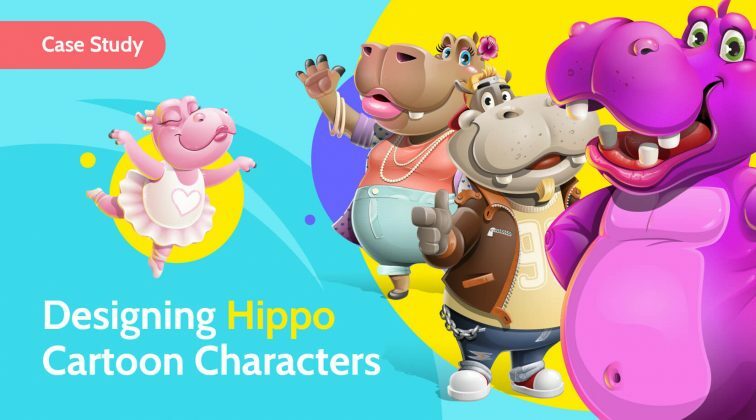 In this collection, you will find the themes that have been designed to present products and services of different categories, such as business, fashion, sports, social services, etc. Moreover, there is an opportunity to try a sample free of charge. Here is a free template with up-to-date layout design that has been created for business presentations. This free sample has 7 light and 7 dark slides with the introduction, the index, a phone mockup slide. Besides, there is the slide where you may include data from some research in the form of various charts, as well as the slide with SWOT analysis map. You can try this template to find out about the functionality of the ready-made templates and then opt for the premium one. 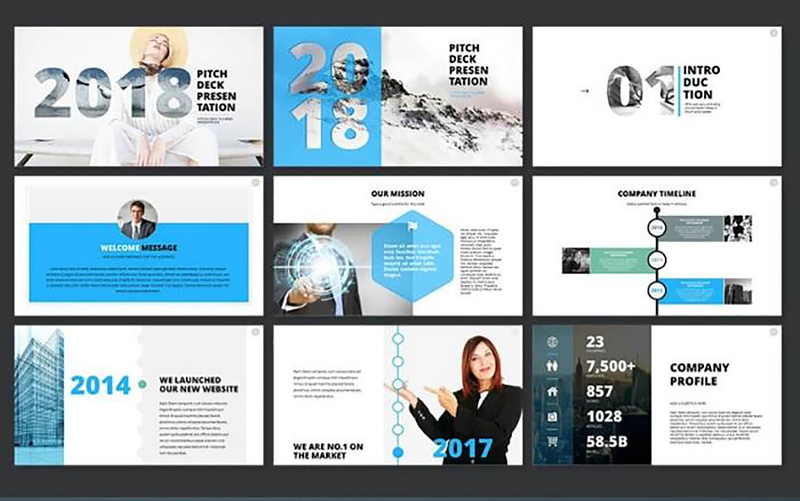 2018 Pitch Deck PowerPoint Template has been designed with a wide range of helpful features. Thus, it is suitable for any kind of business and can be used by both corporate and business clients. You can choose among more than 230 unique slides made for different purposes. Moreover, there are 12 additional color theme options and easy editable data-driven charts. Keyboard shortcuts can be very helpful while you are working on your presentation, as well as while you are presenting your ideas to the audience. There are some shortcuts that can make the process of creating the presentation faster and more productive. For instance, when you work with shapes and slides and want to duplicate any selected item, press Ctrl+D. It will be much quicker than copy and paste. The combination of Ctrl+G will group the selected shapes together. And if it is necessary to ungroup them, press Ctrl+Shift+G. When you need to format the text, it is possible to use the following shortcuts. To center the text in the selected shape, press Ctrl+E. Ctrl+L will left-align the text in the selected shape, while Ctrl+R will right-align it. Moreover, when we prepare the presentation, it is possible to use the mouse. However, in the process of delivering the speech, we have to focus our attention on the audience and not on the screen of the computer. In this case, if you do not have an assistant and have to do everything yourself, it is easier to press some buttons quickly rather than use the mouse. For example, if you need to go to some particular slide in slideshow mode, you should press < slide number >+Enter. SHIFT + F5 will help you to view your presentation from the current slide. The combination of Ctrl+Break will finish a slideshow. It is not a secret that by default, PowerPoint opens a presentation in Normal view. If you save the file of your presentation, next time it will be opened in the view last saved. On the one hand, it is convenient, especially if you want to continue working on it. On the other hand, it is not always the most suitable opening view. Thus, you can change view modes and select the one that you need for your work or for a particular task. You will find various PowerPoint view options, such as Slide Sorter or Notes Page View and others on the View tab. There are several cases when it may be necessary to display a blank slide while delivering the presentation. You can do this to stop the presentation in order to answer some questions or for some break. Another variant is when you want to underline the key information and you want people to look at you but not at your slides. There are two options to choose from. You have to press the button either with letter B which blacks out the screen or with letter W. In this case, the blank slide will be of white color. Pressing B or W for the second time will return you to the presentation. There are various important commands in PowerPoint that may be difficult to find. The Quick Access Toolbar is very helpful in solving this problem. It contains a set of commands that are included by default. However, it is possible to add the ones that you use more often in order to access them just in one click. It may also be useful to remove the ones that you do not need. 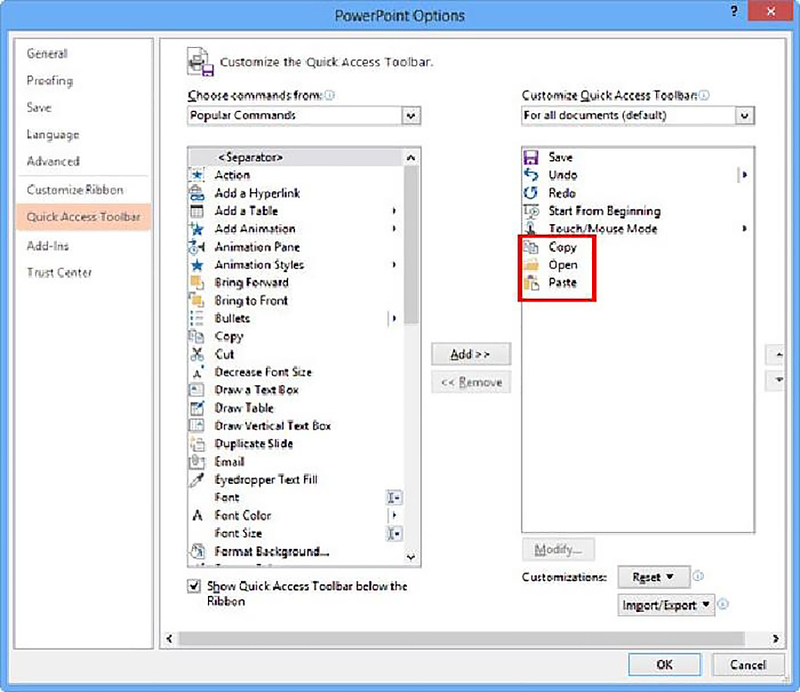 Thus, customizing this toolbar will contribute to making your work more productive. If you want to add more character to your slides, you will definitely appreciate such PowerPoint add-in as ShapeChef. 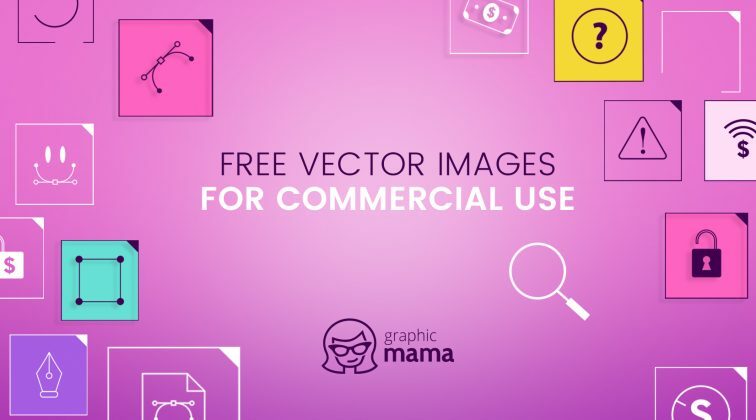 First of all, you will have access to an awesome collection of graphic, charts and different icons. It is possible to download the existing items, as well as organize one’s own shapes, logos, charts and other graphics into categories. The library pane is integrated into the PowerPoint window. Therefore, it is very simple to take a chart or any icon for a presentation. You just have to drag it from the library pane into your PowerPoint slide. What is more, there is an opportunity to create shared libraries for your colleagues or the entire company. 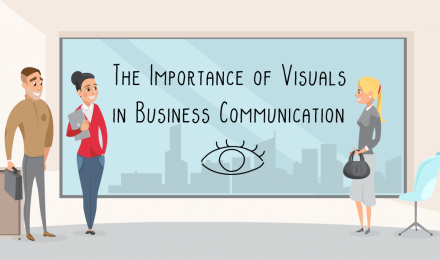 The visual component is significant in any presentation. However, it can be challenging for some people to prepare appropriate pictures if they are not skilled in photo-editing software. PowerPoint contains photo manipulation tools that may help solve this issue. Imagine you have several objects in the picture but you want the audience to pay attention to one of them. Separate the foreground object from the background one with Remove Background tool. With the help of Correction tool, you will control the level of brightness and contrast, as well as sharpness and softness of a picture. It is also possible to change the picture, using various filters of Artistic Effects tool. Imagine you have 20 shapes in your presentation and you want to keep the formatting consistent. It is not necessary to spend a lot of time applying the same look to all of them, especially if you have applied multiple formatting. Format Painter will do it in several seconds. It is possible to format any picture chart, shape, cell, text, fill color, or outline color. Moreover, one can copy the formatting from one object to other ones on the same slide, the same presentation, or across presentations. If you work with complicated graphics, Selection Pane can become an irreplaceable tool. For example, you have inserted shapes, images and text boxes on the slide and all of them are stacked on top of each other. It may be challenging to select an individual object and modify it. With the help of the Selection Pane, it is not only possible to select one or more objects and edit them. This tool allows you to rearrange the objects that are located behind or in front of the other ones. Moreover, it is possible to hide the objects if you want to focus on some specific ones while delivering the presentation. You may also rename any component’s name. If you need some special symbols, you usually open the Symbols dialogue box. However, there is even a faster way to enter some symbols, just typing a few characters. For instance, if you type (C), you will get the © symbol. If you need to insert the ® symbol for Registered, type (R). 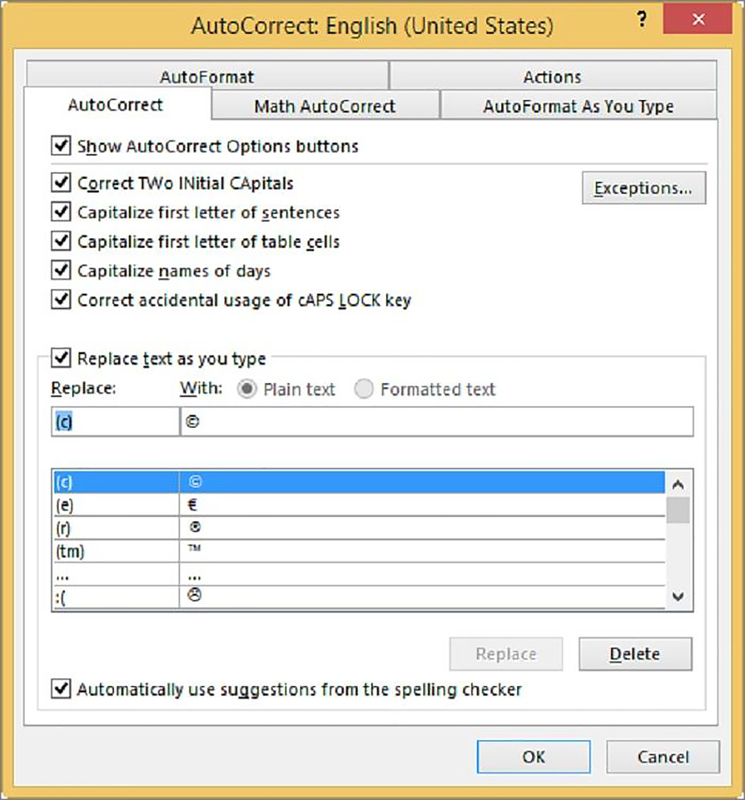 Although AutoCorrect option contains a set of symbols by default, it is possible to modify them. Furthermore, you may insert not only symbols but also words and phrases. Just assign a set of characters for the phrase in the Autocorrect option, for instance, ‘mmf’ for money market funds. Next time you use the phrase, just type ‘mmf’ and press the spacebar. The phrase will automatically appear in the text of your presentation. PowerPoint enables you to work on the presentation with colleagues, especially if you are engaged in one project. First, it is necessary to save the presentation to OneDrive or SharePoint Online for Office365. Then you open it and choose Share in the top-right corner of the ribbon. Finally, you add the email addresses of the people whom you invite either to view or edit the presentation. In this case, it is also possible to control where others work in your shared file. Sometimes you have to send the presentation file to some people. However, usually different problems occur when they try to open it if it is saved in the PowerPoint format. The recipient may have a different version of the program installed. It is recommended to export the presentation as a PDF file. You have to press File, choose Export, and Create PDF. The final step is to save your presentation as a PDF. As a result, the users will see the presentation as it is, as well as you will be sure that nothing will be edited. So, as we know, it is rather challenging to hold the attention of the audience during the presentation. However, we hope that these simple tips will help you prepare your presentations, as well as deliver them more efficiently. Helen Miller is our guest author from TemplateMonster.com. She is a freelance author who is always inspired to write on web-design and web-development up-to-date subjects. Helen has a great interest in the IT sphere and she always has fresh ideas to share.